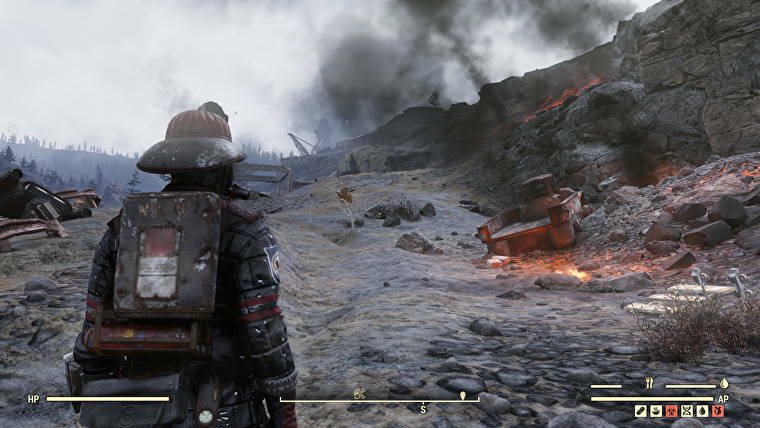 One of the primary concern for Fallout players ahead of Fallout 76 is that multiplayer would fundamentally change the game. The series thrived off of isolation and solidarity typified by the Lone Wanderer character. An ideal aesthetic for the post-apocalyptic series, and a significant drawing point for many fans. The concern about moving the series to an MMO style then was that too many cooks would spoil the broth. 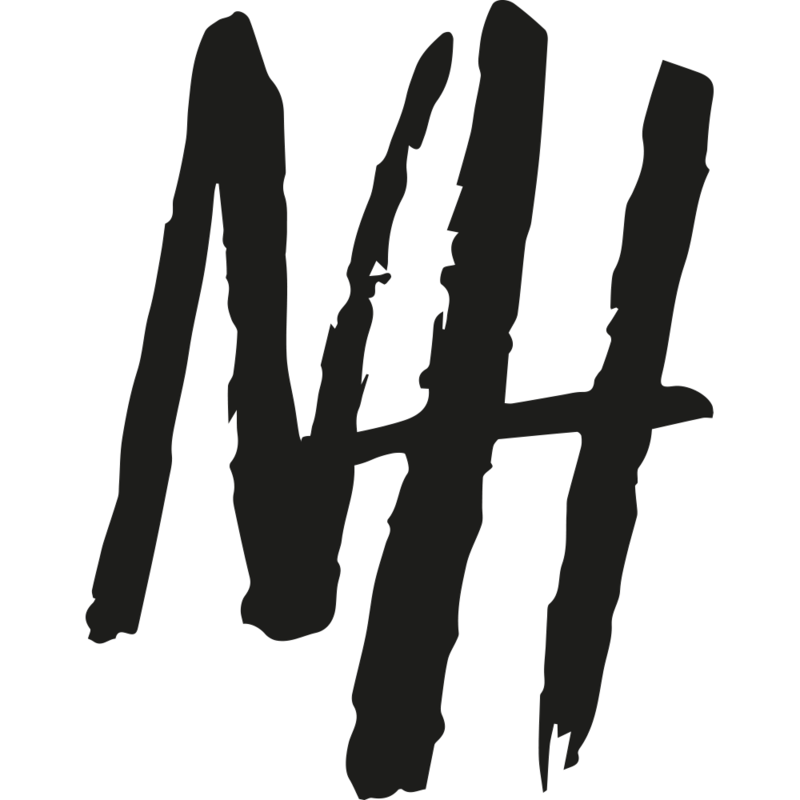 Multiple player characters would undermine the emotional hook of the narrative and produce abundant griefing. Oh, the irony. 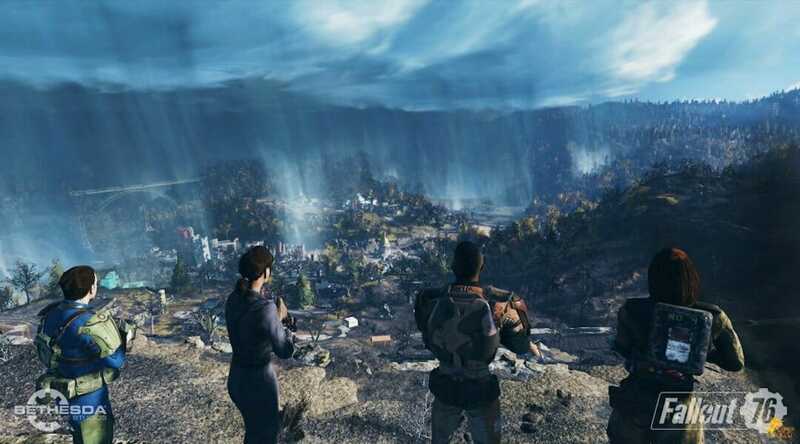 Turns out the biggest failing (amongst many) of Fallout 76 is how empty the world is. The anti-griefing measures and multiplayer style designed to appease fans are in fact, its biggest weakness. One of the larger controversies from early release is not the additional players but the lack of NPCs. Whilst it was a novel idea to make all other characters player characters, there is a huge lack of interaction in-between. Even canonically the choice doesn’t make sense as there would likely be survivors of the nuclear holocaust. Not all civilians were fortunate or unfortunate enough to have made it into the vaults. Hence the presence of scorched and super mutants etc. who are still wondering the wasteland. Statistically though it’s likely there would be some survivors who would have been populating the Earth for 25 years. Nobody would bat an eyelid at a settlement or two that has emerged from the rubble of society. But choosing not to take that narrative option almost makes the wasteland pointless to explore. 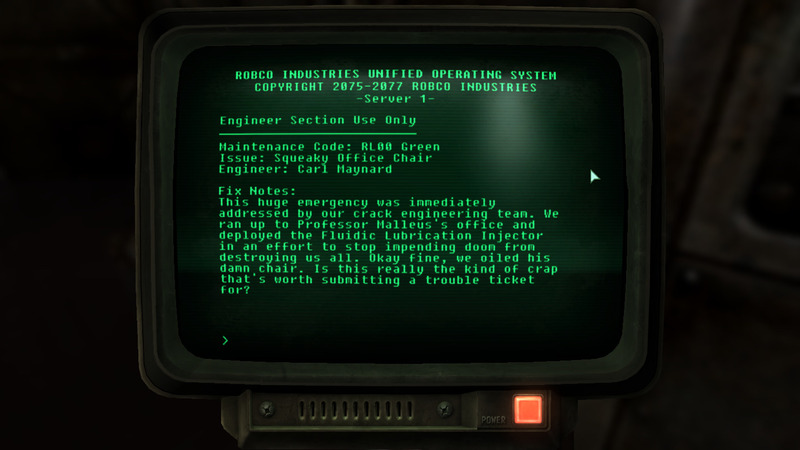 Quest missions are delivered through terminals and tapes that can be acquired throughout the world. It’s environmental story-telling at its best but it’s not for everyone. If players don’t want to listen to pre-recordings or read pages of text they are flat out of luck as there’s no other way to progress in the story. Missions also feel somewhat pointless since players know whoever set them is already dead. There are no NPCs so even those voice recordings will lead to nothing, the objective ‘find me’ is impossible, so where’s the incentive? 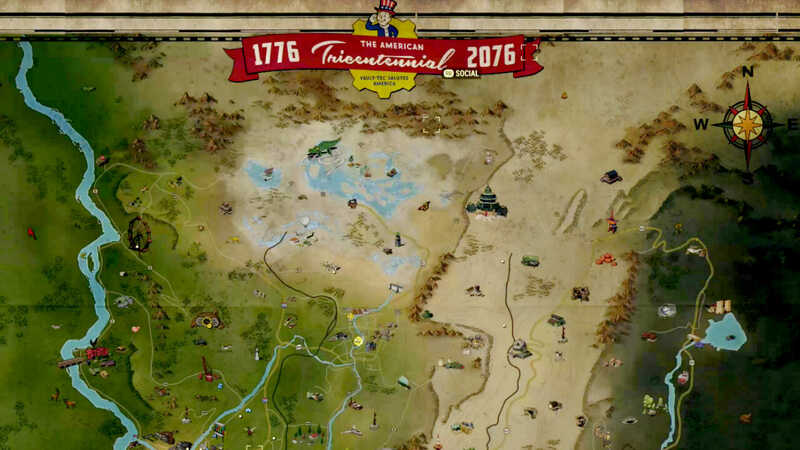 Bethesda produced an impressive open world map but its size is something else that plays against it. The graphics simply aren’t up to the standard of modern AAA games, which can make environments quite ugly. Traversal is slow and features lots of dull, textureless environments. With an average of 24 to 32 players per server and a lack of available fast travel, don’t expect to bump into many player characters either. Again the incentive is just not there, with little to discover and a lack of variety in environments. The harsh anti-griefing regulations have also made PvP somewhat of a chore. It’s near impossible to attack a player who doesn’t engage and not worth the trouble if you succeed. Likewise, even if the other player does engage the rewards are paltry in comparison to the effort required. It means the game is best played PvE and again there’s not a ton of reward for cooperative play. Most players prefer to explore at their own pace, so even if you make the effort to track down another player in your server it will likely be in vain. If you have friends also online the game is at it’s best. But if you don’t have friends playing Fallout 76 at the same time as you, it can be a very lonely experience. 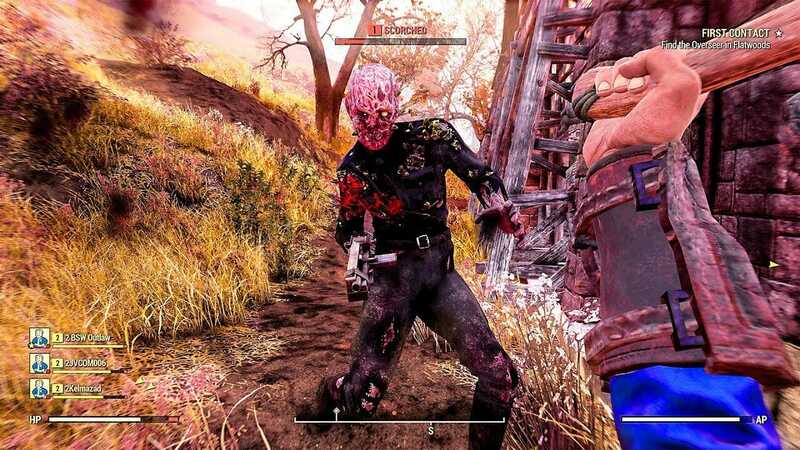 The complete lack of interaction has led to one common criticism that Fallout 76 is boring. The poor release and plentiful complaints have led to a conundrum for Bethesda. Nobody wants a boring game and if too many players drop it, Fallout 76 will quickly be consigned to become a flop. The game was quickly added to many retailers Black Friday sales and Bethesda have announced they intend to support the game. A huge 47gb patch was already released by Bethesda but this was mainly used to correct the bugs and glitches in the game. It’s another issue for fans and one that still hasn’t been properly addressed despite the huge patch. Bethesda have further plans for Fallout 76 that they hope will be enough to maintain interest in the game. The ironic thing is that adding more players to Fallout has created an even more solitary experience. Bethesda needs to correct trajectory fast because there’s so much fierce competition in the modern gaming market. Otherwise Fallout 76 could live on in legend as the title that truly created the Lone Wanderer. Adrift in a wasteland of empty servers.